Cocoa meringues are a pretty delicate cookie. They are also gluten free and there is almost no fat in them. The only fat is in the chocolate chips. 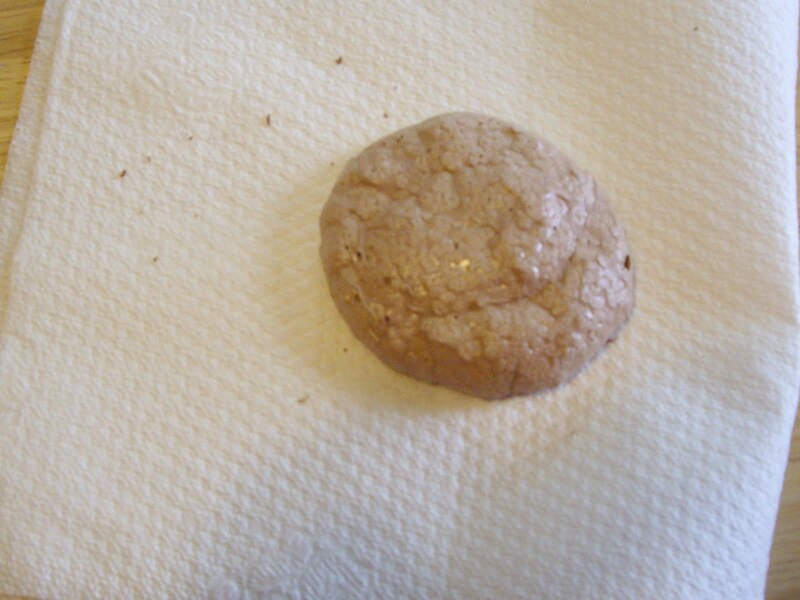 If you want totally fat free leave them out and bake on a silicone pad or parchment paper. If you love meringue, you are going to love these cookies. A mixer is needed for this recipe. Grease a cookie sheet. You can also line it with parchment paper. Preheat your oven to 300 degrees Fahrenheit. In a mixing bowl, beat the egg whites, vanilla extract, and cream of tartar with a mixer until soft peaks form(tips curl). Mix the cocoa powder and the sugar. Add the cocoa powder/sugar to the egg whites 1 Tablespoon at a time, beating as you add it. Beat until stiff peaks form(tips stand straight up). Drop mixture by teaspoon onto the cookie sheet. Bake for 20 minutes until the cookies are firm and the bottoms are lightly browned. Tips- make sure there is absolutely no yolk flecks in the egg whites or they will not beat into peaks. Also do not add sugar too fast. That too will inhibit the beating of the egg whites.